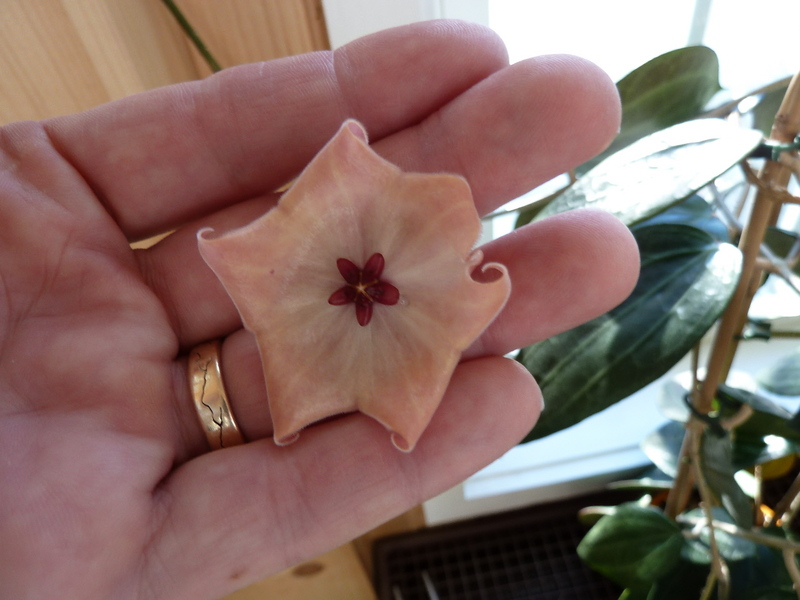 Hoya patella ‘Pink’ is a brilliant little Hoya from Papua New Guinea. 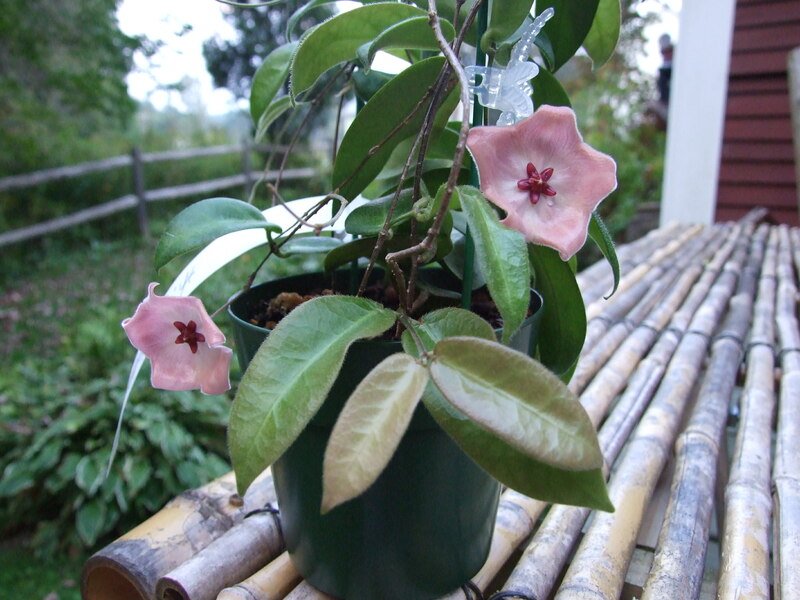 It thrives on heat and humidity – a perfect candidate for the grow room. 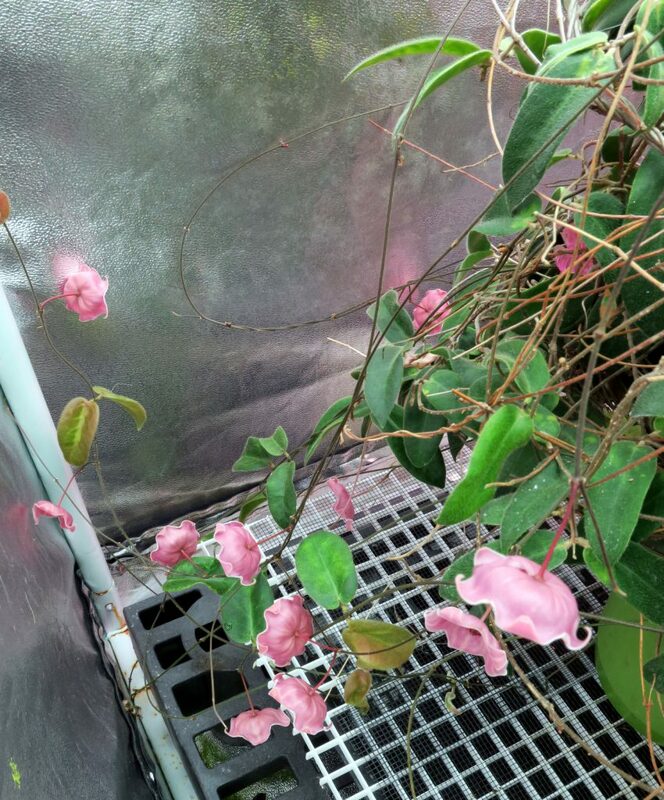 It will grow and bloom completely under artificial light, and likes to spend its summers in the greenhouse. The plant has cute little fuzzy leaves, and is a relatively slow grower. 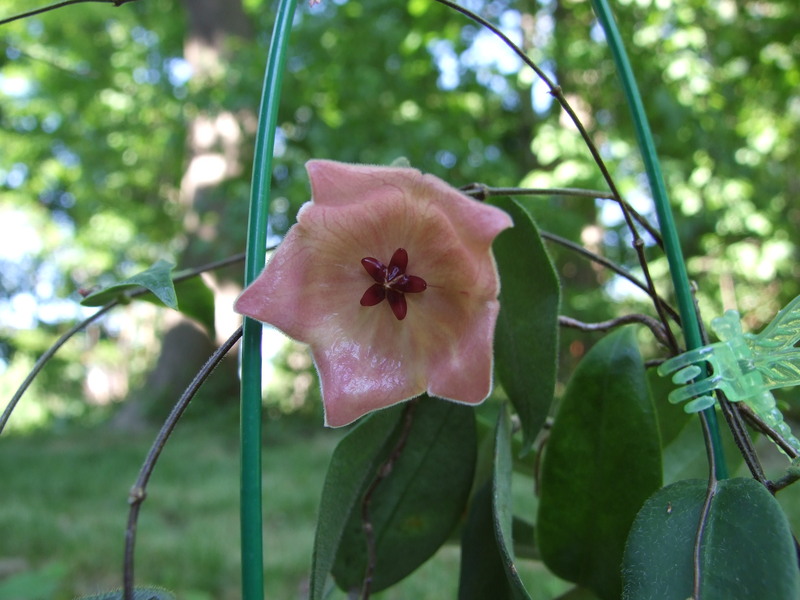 I have not tried this plant in regular household conditions and surmise that it would decline quickly without the warmth and humidity that it requires. If you can provide those conditions, I heartily recommend this plant for your collection. 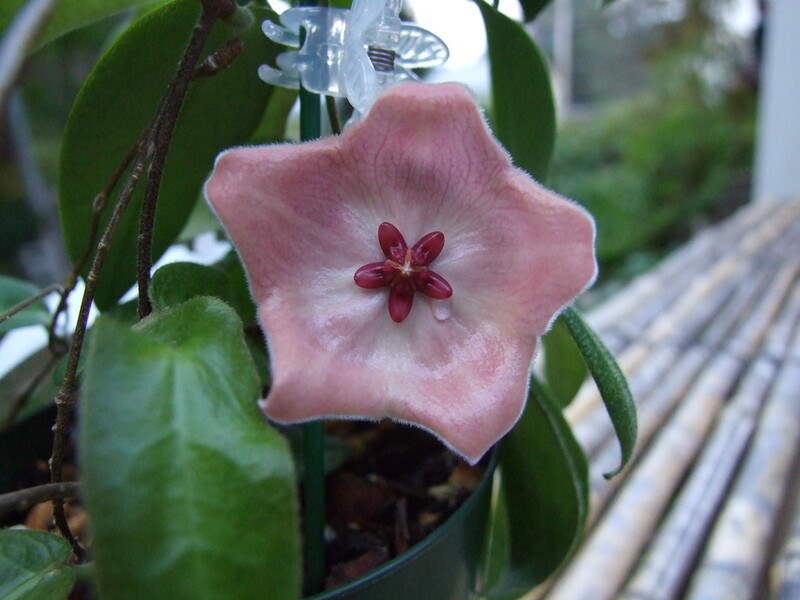 **Update** I have now been growing Hoya patella for over five years and can say unequivocally that the most important factor in growing the plant is high humidity at all times. High temps are not necessary as it will do great with night time temperatures in the 50°s Fahrenheit. Also it does not ever want direct sun as it will quickly become fried. It does best in a high humidity grow tent under fluorescent lighting.